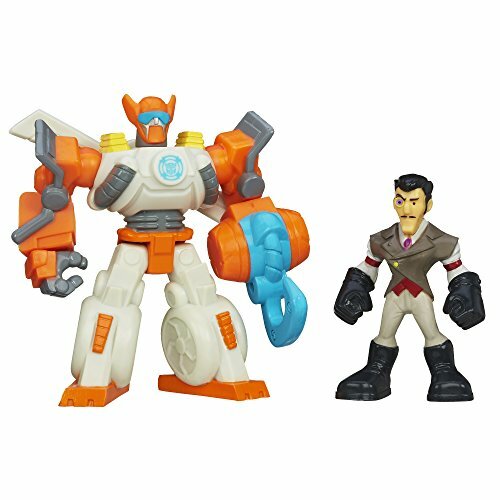 No matter what dangers await, these 2 Rescue Bots figures are ready to be heroes with your little hero! These Blades the Copter-Bot and Dr. Morocco figures are sized just right for his little hands and they'll be the perfect pals for all his adventures. His Blades the Copter-Bot figure has a hook for amazing rescues! Team your little adventurer up with the Rescue Bots so they can all save the day! Playskool, Transformers and all related characters are trademarks of Hasbro.